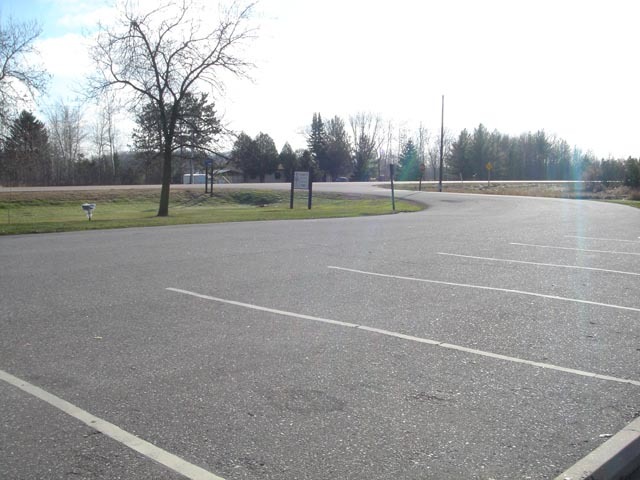 Located Rest area West side of Hwy 13 & Hwy 10 intersection Marshfield,WI Coordinates Lat N 44:54':402" Lon W -90:18':987"
Prior to. World War II, few Americans had ever been held as prisoners of war on foreign soil. But the surrender of U. S. forces in the Philippines in the spring of 1942 suddenly swelled the number of POWs into the thousands, and soon a network of support groups was formed in the U. S. to exchange information about loved ones held captive. At the war's end, the Bataan Relief Organization absorbed similar barbed-wire clubs' and in 1949 became the American Ex-Prisoners of War. A Wisconsin department was established in 1977, and Stanley G. Sommers of Marshfield, a sailor captured at Corregidor, became national commander in 1980. Sommers was instrumental in compiling data regarding the effects of incarceration on ex-POWs, some of which informed the congressional debate over passage of the Former Prisoners of War Benefit Act of 1981. 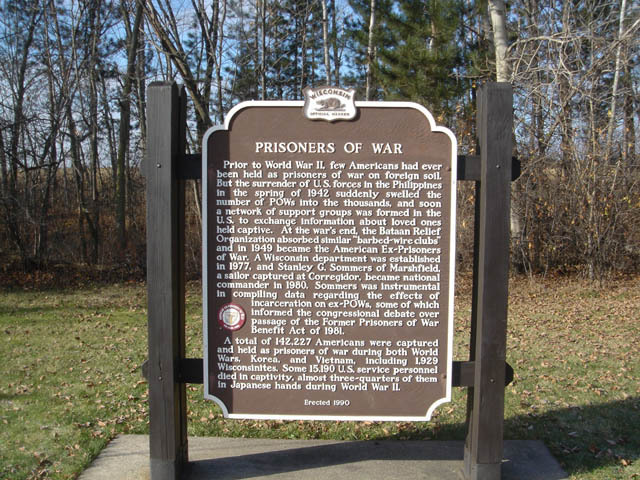 A total of 142,227 Americans were captured and held as prisoners of war during both World Wars, Korea, and Vietnam, including 1,929 Wisconsinites. Some 15,190 U S. service personnel died in captivity, almost three-quarters of them in Japanese hands during World War 11.